There is a new release of ProIV IDE out now, v0.1.54. Once you have upgraded the client, this is the last time you will have to manually upgrade the server side functions. 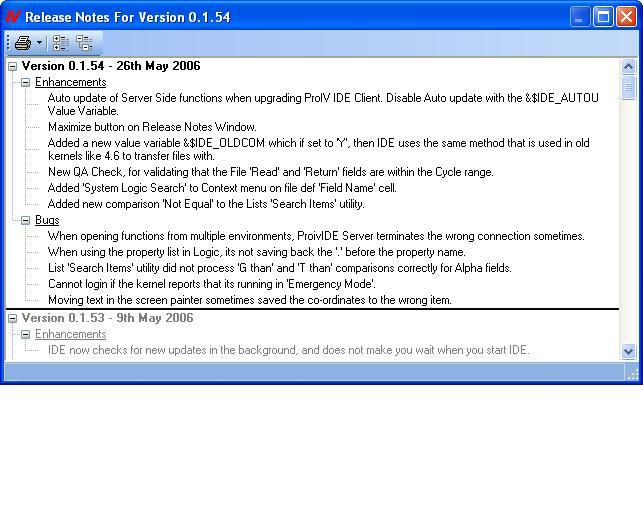 From this client release onwards, if you upgrade your IDE client, the new IDE client will automatically upgrade the server side functions, so you dont have to do it. For 'new' installs, you still have to install the server side manually.